Teenagers who smoke marijuana daily may have lingering memory problems and structural abnormalities in the brain, even after they stop using the drug, a small study suggests. Researchers found that young adults who'd smoked pot heavily as teens performed worse on memory tests than their peers who'd never used the drug regularly. And on brain scans, they tended to show differences in the shape of the hippocampus -- a brain structure involved in forming long-term memories. However, the findings, reported March 12 in the journal Hippocampus, do not prove that marijuana is the culprit. That's partly because the study participants were assessed only once, which leaves the chicken-and-egg question open, said lead researcher Matthew Smith. "We can't know that it's causing the memory impairment," said Smith, an assistant professor of psychiatry and behavioral sciences at Northwestern University Feinberg School of Medicine, in Chicago. However, he pointed out that other research has found a link between teenagers' heavy marijuana use and lingering memory problems, as well as a loss in IQ points. Similarly, brain-imaging studies have found that habitual pot smokers show differences in the volume and shape of the hippocampus, versus non-users. This study, Smith said, adds another layer: It found a correlation between the oddly shaped hippocampus and memory problems. What's more, the young adults in this study had been marijuana-free for an average of two years. That suggests that if heavy use alters teenagers' brain structure, or dims their memories, the effects do not quickly go away, Smith said. More research is needed, he said, to see just how long those effects might last after young people stop smoking pot. However, studies seeking to pinpoint marijuana's potential brain effects are fraught with limitations, said Paul Armentano, deputy director of NORML, a non-profit that advocates for legal marijuana use. Some, like the current study, assess people once -- and can't show whether the pot use came before any memory issues, Armentano said. Plus, many other factors might affect young people's brain development. Armentano pointed to a recent study in the Journal of Neuroscience that suggested that heavy drinking and other factors account for the connection between marijuana use and structural abnormalities in the brain. 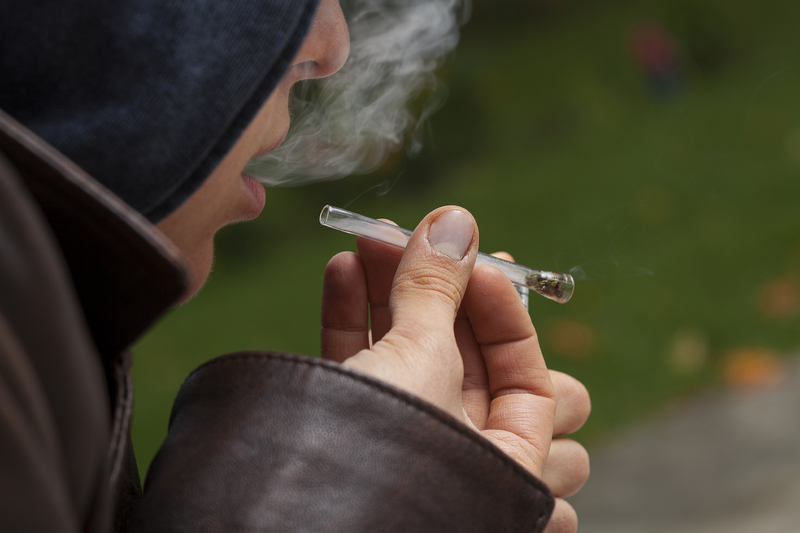 The current findings are based on 10 young adults who smoked pot heavily as teens -- usually daily, starting at 16 or 17, for an average of three years. Smith's team compared them with 44 young adults the same age, and from similar backgrounds, with no history of drug abuse. Overall, the former marijuana users performed worse on a test where they had to listen to a series of stories, then remember as much information as possible a half-hour later. Smith said he thinks the gap would be relevant in real life. "It would be similar to having a conversation, and then forgetting details 30 minutes later," he said. The researchers also found a correlation between having an "oddly shaped" hippocampus and poorer memory performance, Smith said, though he added that does not prove the structural difference caused the memory issues. Despite the cause-and-effect questions, Smith said there is particular concern about the possible effects of marijuana on kids' developing brains. "The overall body of evidence is pretty clear that when teenagers use marijuana [regularly], their brains tend to look different and there tend to be cognitive differences," he said. So it would be wise to at least delay that first marijuana experiment, until the brain is mature, he suggested. "If that's an experience you want to have," Smith said, "you'd probably be better off if you at least wait until your early-20s." To Armentano, those concerns about teenagers' developing brains argue for legalized marijuana. "The obvious public-policy response," he said, "is to regulate the substance in a manner that better restricts young people's access to it, and provides them with evidence-based information in regard to its potential risks."